MyBayCity.com What Would George Romney Say About Willard "Mitt" Romney? 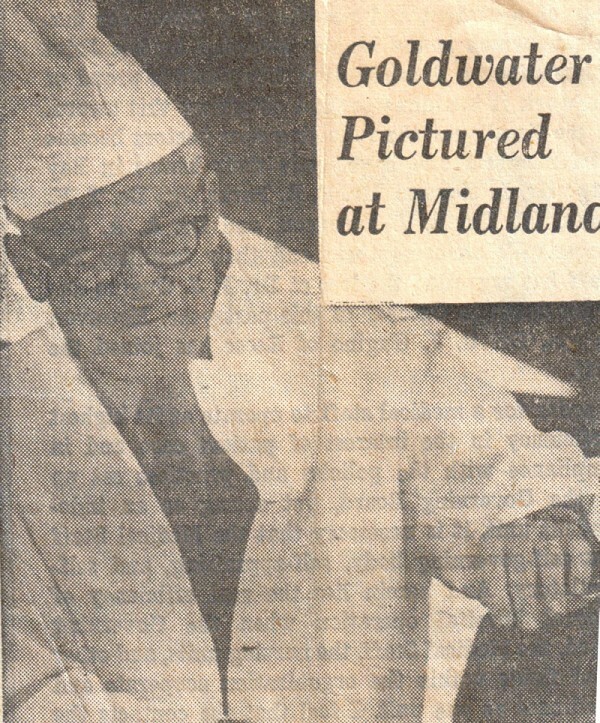 Barry Goldwater came to Midland for a Republican ox roast in the Presidential campaign of 1964. He delighted in slinging bloody slices of ox at the white-shirted party members in the front row of a crowd at the Midland Fairgrounds. In 1964, Gov. George Romney of Michigan, walked out of the Republican National Convention during Barry Goldwater's acceptance speech, recalled columnist E.J. Dionne in the Washington Post. "He was protesting his party's sharp turn rightward and its weak platform plank on civil rights," wrote Dionne. The pundit expressed a similar view to one I heard recently from a onetime senior aide to George Romney when he was governor. "I'm very disappointed in Mitt," were the first words out of the mouth of the former aide to the father. "Mitt Romney reached the summit not by battling the GOP's staunchest conservatives but by accommodating them. Nothing better captures the absolute victory of the forces of Goldwaterism than a Romney triumph on the basis of Goldwater's ideas." George Romney was a moderate, much like Bill Milliken who followed him as a Republican in the governor's office. How is it that Barry Goldwater and Willard Romney are soul brothers, so to speak? Barry Goldwater was born in Phoenix, Arizona on 1st January, 1909. 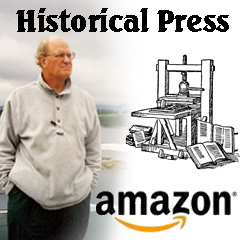 His grandfather, a Polish immigrant, had established a large number of stores in Arizona in the 1870s. By the time Goldwater was born the family was extremely wealthy. A famous cartoon in 1964 by Washington Post artist Herb Block showed an image of Goldwater speaking to a poor woman sitting on a doorstep with her children: "If you had any initiative you'd go out and inherit a department store." That critical cartoon was much like Mitt Romney's clueless comment that college students should "borrow from their parents" rather than worry about getting student loans. Goldwater attended Staunton Military Academy and the University of Arizona, before joining the family department store business based in Phoenix. After the death of his father in 1929, Goldwater played an important role in the development of the organization and in 1937 became head of the company. Unlike Willard, Barry was a military man. During the Second World War, Goldwater entered the U.S. Army Air Corps, and was a pilot serving in the Asiatic Theater in India. He was discharged in November 1945 as a lieutenant colonel. He organized the Arizona National Guard 1945-1952 and served as brigadier general in the Air Force Reserve in 1959 and was promoted to major general in 1962; retired in 1967 after thirty-seven years service. On the extreme right of the Republican Party, Goldwater often criticized the policies of Dwight Eisenhower. He described his social policies as "dime-store New Deal" and strongly opposed the President's decision to use federal troops in a civil rights dispute at Little Rock, Arkansas in 1957. Goldwater also believed that Eisenhower was too soft on trade unions and complained of his failure to balance the budget. Goldwater expressed his conservative views in a syndicated newspaper column. A collection of these articles were published as a book entitled "The Conscience of the Conservative" in 1960. Considered to be too right-wing to be a presidential candidate, Goldwater loyally supported Richard Nixon against John F. Kennedy in 1960. As an opponent of federal civil rights laws Goldwater was highly critical of the presidency of Lyndon B. Johnson. He also favored a more aggressive approach to the Vietnam War. He and Mitt Romney might be similar in the "war hawk" area as Mitt has been talking tough about Iran, a position the Democrats view as dangerous. Nominated as the Republican Party as its presidential candidate in 1964, he upset many of his potential supporters by voting against Johnson's Anti-Poverty Act (1964). His extreme anti-Communist views also frightened the American public. In one television interview Goldwater explained that he would be willing to use nuclear weapons against Communist forces in Vietnam. Although his stand against civil rights made him popular in the Deep South, was easily defeated by Johnson by 42,328,350 votes to 26,640,178. Goldwater received 38.8 per cent of the vote and won only six states. However, in his family business management career Goldwater was seen as a progressive employer and offered wages higher than the national retail-store average. The company also assumed the full cost of employees' health, accident, and life insurance. Other innovations included a profit-sharing plan and a maximum forty-hour week. Opposed to trade unions, Goldwater described his business strategy as "enlightened self-interest."